Chicago, Illinois, July 27, 2014. 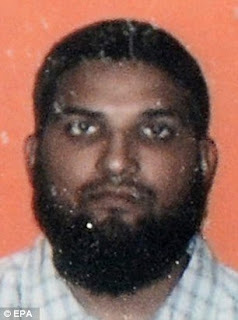 A Facebook executive told The Associated Press that Tashfeen Malik posted the material [her pledge of allegiance to ISIS] under an alias account at 11 a.m. Wednesday. 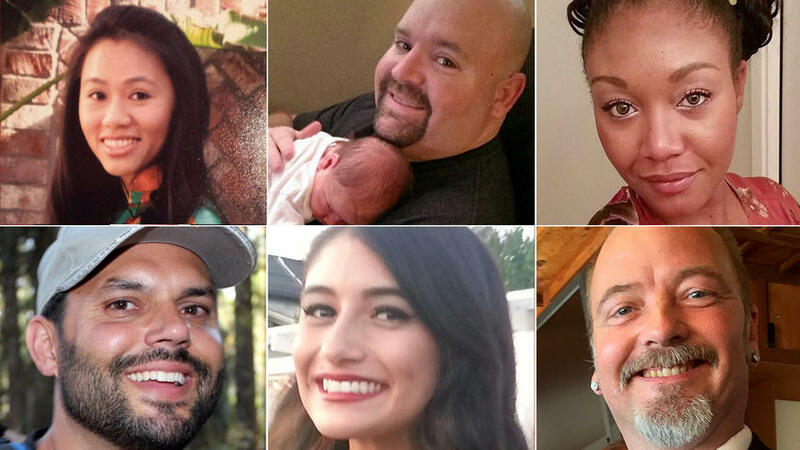 That was about the time the first 911 calls came in and when the couple were believed to have stormed into the San Bernardino social service center and opened fire. The executive spoke on condition of anonymity because this person was not allowed under corporate policy to be quoted by name. The company discovered the Facebook account Thursday. It removed the profile from public view and reported its contents to law enforcement. — From Associated Press writer Tami Abdollah in Washington, D.C.
Was there a Manchurian Candidate situation in play on December 2nd? Look at the above photo. I wrote about the Manchurian Candidate Sirhan Bishara Sirhan (probable preprogrammed RFK assassin) in the Steamshovel Press, on June 6, 2002. In that 2002 essay, I mention how the mainstream media demonstrates an easy acceptance of the "lone nut" and other psychological explanations when a deeper involvement between individuals may be occurring. I call for more "connecting the dots." As noted, Europe laughed at America when JFK was assassinated because few would investigate the multiple person involvement in the planning of that killing. When in America will we understand that to employ the word "conspiracy" in context is not a sin, but actually might be a survival technique we need to learn? It might actually be of benefit if the general public did not whole-heartedly take everything in from the media without a bit more critical thinking along lines of analysis that may be seen as too alternative, in former years. 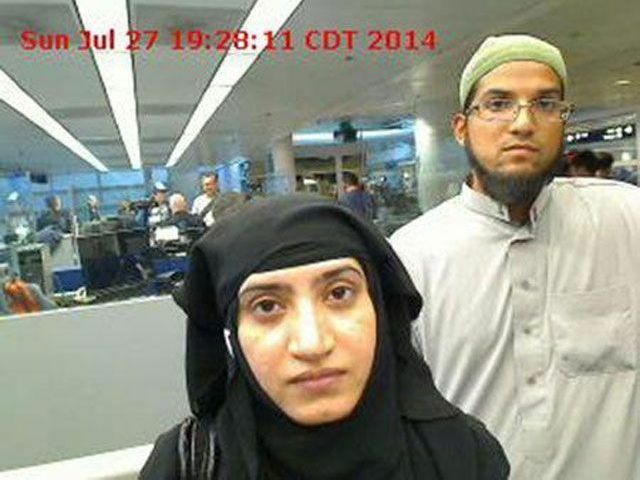 The San Bernardino shootings will be analyzed by humans for years. With all due respect to the victims, their families, and friends, let's look at some of the initial thoughts, via the twilight language, behind a few of the names and places issuing from this incident. Aurora Godoy = dawn of the gods = Götterdämmerung = Ragnarök. Looking at the Aurora, Colorado, shootings, it became obvious that the "red dawn" expressed in that incident was worthy of some thought. 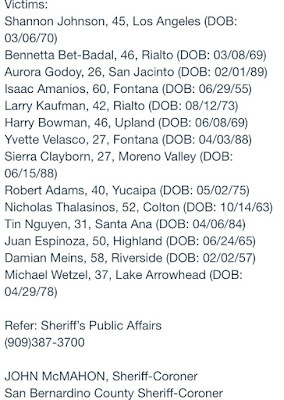 Here, coming from assassins in Redlands, by "coincidence," an unfortunate victim, Aurora, was picked. And another Aurora shows up in the descriptions. Harry "Hal" Bowman, 46, was a Ph. D. from Pennsylvania, a statistical analyst for healthy communities for the County Department of Public Health, and one of the earliest contributors to CREATE, a USC center that studies national security and terrorism. Bowman was a father of two daughters, ages 11 and 15, family member Bill Kraft of Aurora, Illinois, told the Los Angeles Times. Juan Espinoza = thorny warrior = Thor. Espinoza came to the U.S. from Mexico when he was in his 20s and graduated from California State University, San Bernardino campus. 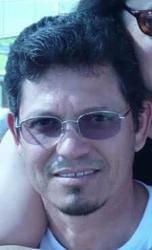 "He was an honest, fair and hardworking man," daughter, 25-year-old Jerusalem Espinoza told New York Daily News. Wetzel is a rare name that I wrote about in the 1970s, which appears to surface in unusual situations. Wetzel is a Germanic name derived from warn, "guard," combined with hair, "army." Farooq (also transliterated as Farouk, Farook, Faruk, Faroeq, Faruq, or Farouq; Arabic: فاروق, Fārūq ) is a common Arabic given and family name derived from an honorific of Umar, an early Muslim leader. Al-Farooq literally means, "the one who distinguishes between right and wrong." Sent in by RS. Sayyid (also spelled "Seyd", "Syed", "Sayed", "Sayyed", "Saiyid", "Seyed" and "Seyyed") (pronounced [ˈsæjjɪd], or [ˈsæjjed], Arabic: سيد; meaning Mister) (plural Sadah Arabic: سادة, Sāda(h)) is an honorific title denoting males accepted as descendants of the Islamic prophet Muhammad through his grandsons, Hasan ibn Ali and Husayn ibn Ali, sons of Muhammad's daughter Fatimah and his son-in-law Ali (Ali ibn Abi Talib). Conventionally, descent is patrilineal. However, in 1632 when an Ottoman court challenged a man wearing a sayyid's green turban he established that he was a sayyid on his mother's side, and this was accepted by the court. Daughters of sayyids are given the titles Sayyida, Alawiyah, or Sharifa. In some regions of the Islamic world, e.g., India, the descendants of Muhammad are given the title Amir or Mir, meaning "commander", "general", or "prince". In the Arab world, it is the equivalent of the English word "liege lord" or "master" when referring to a descendant of Muhammad, as in Sayyid Ali Sultan. This is the reason the word sidi (from the contracted form sayyidī, 'my liege') is used in the Arabic. Source. Malik is also one of the Names of God in the Qur'an, and is then al-Malik(الملك) or The King, Lord of the Worlds in the absolute sense (denoted by the definite article), meaning the King of Kings, above all earthly rulers. Hence, Abdelmelik ("servant of [Allah] the King ") is an Arabic male name. Source. 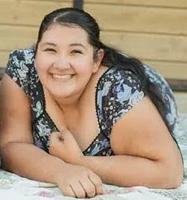 Tashfeen means affectionate, considerate, sympathetic, and kind. Source. Redlands translates, of course, into "land that is red." The wall-to-wall coverage of the San Bernardino shootings revealed the heavy use by the media and the news consultants shown on the news networks of a fully developed overt language being employed. Hardly a conspiracy or evidence of anything. This is cop-speak, and it has been evolving rapidly with pseudo-military, pseudo-war-game jargon. Just like "active shooter," the use of "actor" in the "theater of war," or during a "school shooting," or via any number of "scenarios" of confrontations has been in use for a few years. It is not evidence of a "false flag," but of the militarization of local police actions. Overused by the media to describe an event they do not understand yet. 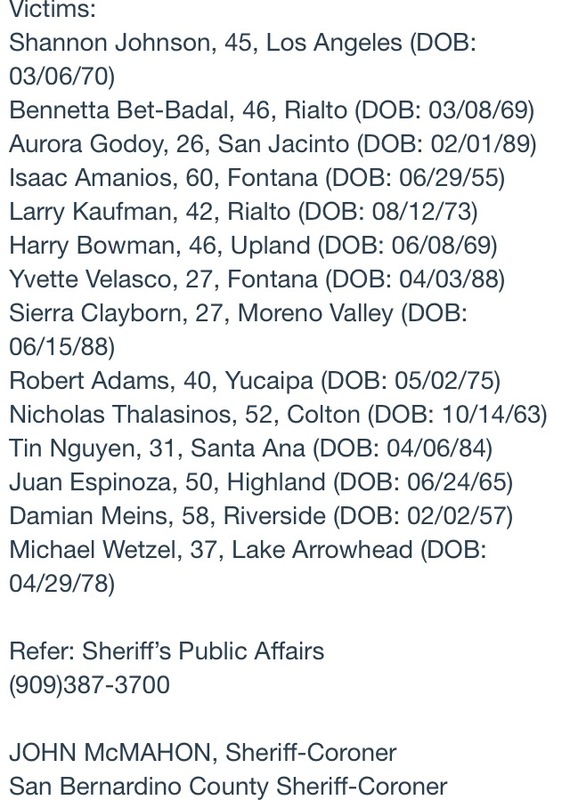 Update/December 10, 2015: The San Bernardino event occurred on December 2, 2015. According to the traditional behavioral contagion/copycat timetable, watch the window of December 16, 2015, for more trouble. In addition, on December 18th, Star Wars: The Force Awakens is a worldwide premiere that delivers too large of a publicity opportunity for a terrorist organization or individuals to ignore. Be alert. Be safe. For more, please see Beyond San Bernardino: What Force Awakens? Aurora's first three letters of her last name = God....Oy Vey! Syed Farook = lord of discord = Furcas, who rideth on a pale horse = Ferguson = Vargsson = Son of the Wolf = Lewis = Wolfsangel. Tashfeen Malik = queen of revenge. Victim Robert Adams is shown with his wife and child wearing a T-shirt that reads: SHELBY COBRA. This refers to a model of sports-car. Also, Cobra is the enemy faction in GI Joe, which are in some ways similar to ISIS. 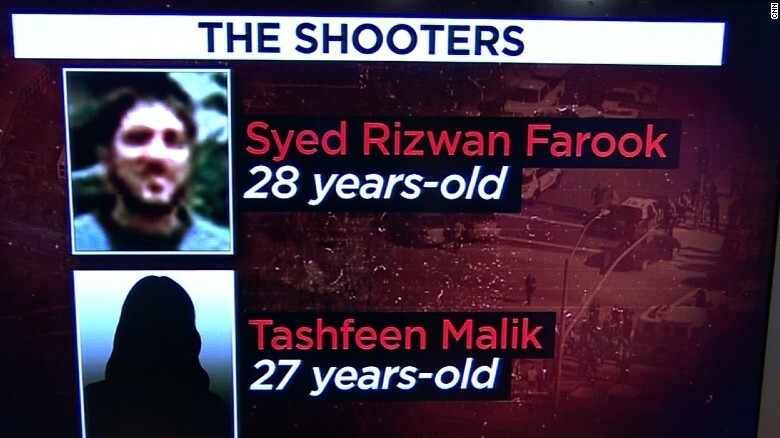 "No one is able to find any female named “Tashfeen Malik”. 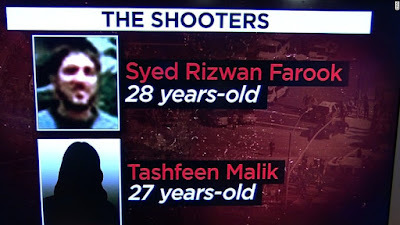 The name is very unusual for a woman and there is no record of any Tashfeen Malik in the U.S. or even abroad in Arabic. 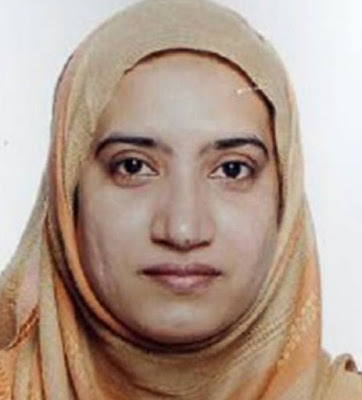 Tashfeen Malik (King) is a nom de guerre for a Muslim Jihadist from the annals of Muslim history. As he is known to Muslims “تاشفين ملك الموحدين” Tashfeen Malik Al-Muahideen, in English: Tafhseen King of the Unitarians (Muslims) and the conquerer of the west. The history stems from when Yusuf ibn Tashfin led the Muslim forces in the Battle of Zallaqa/Sagrajas. He came to Andalusia from Morocco to help the Muslims fight against Alfonso VI, eventually achieving victory and allowing the Muslims to remain in Spain for centuries. The battle has been symbolic for Muslim victory against the Christians." Found a "red dawn" among the victims while doing a quickie name search. For brevity I've eliminated word origin, but kept meaning to related language. I kind of dig the imagery; almost like poetry! Shannon Johnson: wisdom goddess, wise river; son of YHWH is gracious. 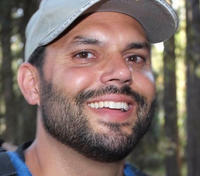 Isaac Amanios: He laughs, G-d is pleased, laughter; ? Harry Bowman: military leader, power, army; cattle man, archer, peasant neighbor, citizen. Damian Means: to tame; ?
? = I couldn't find. Many of these names are diminuitives, often the case with names. Many names refer roles, religion, military, and nature; all so common, perhaps too general to be significant, yet still . . .
Will ISIS Attempt A Red Dawn? 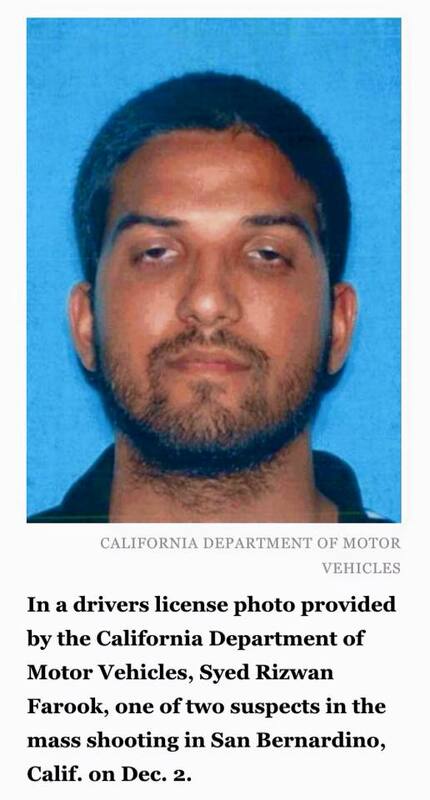 Beyond San Bernardino: What Force Awakens? Why Fly On December 1st?